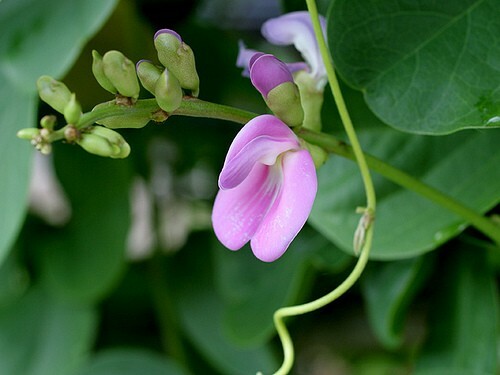 Bay Bean is a vine found in tropical and subtropical beach dunes throughout Mexico and parts of South America.Baybean is a fairly little known ethnobotanical, but will surely become well-known very soon. Canavalia rosea is a potent alternative for other more popular smoking herbs, already popping up in several popular smoke blends. The Bay Bean (Canavalia maritima) leaves we carry vary in shade from yellow, to light green and dark green. Please note: Our 10x enhanced-leaf extract (looks like regular crushed leaf, but is 10 times the potency of regular dried leaf) is significantly higher quality than other company's "25x and "50x" extracts. The other 25x and 50x extracts use a low-quality resin made from fresh leaves and then put that low-quality resin onto the leaf, resulting in a low-quality, chunky mess.Commonly known as beach bean, bay bean, seaside bean, coastal jackbean, or MacKenzie bean.